Cuban. A culinary oasis full of good flavors, Habana Cuba exudes cultural delights. The menu boasts sensuous foods of the Caribbean and Cuba, long on tomato and peppers, slow-roasted meats and earthy black beans. This award-winning restaurant has been praised by local publications like the San Jose Mercuryand CitySearch for everything from the tapas to the authentic style to the romantic appeal, and has most notably been named among the Top 50 Best Spanish Restaurants in the Country by Hispanic Magazine. It was hardly a contest. 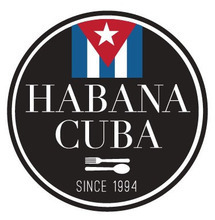 Habana Cuba ran away with the Best Of voting in this category. The two-level restaurant clearly channels the best of authentic Caribbean cuisine with a friendly embracing atmosphere. Nominated for Best Tapas in the Bay Area by Citysearch, Habana Cuba has enchanted diners with its festive, home-style and unforgettable blends of tropical seasonings that will bring you back to Old Havana. Favorites include Paella, Tostones, sweet plantains, Vaca Frita and slow roasted.